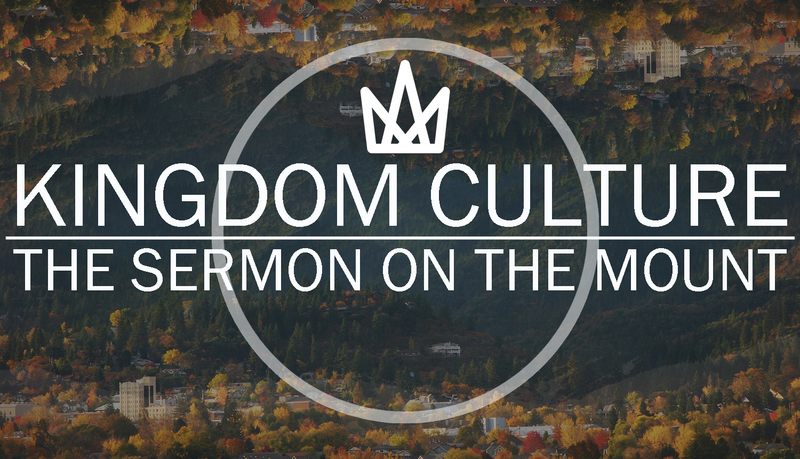 We are moving towards the home stretch of Kingdom Culture, which will conclude on Palm Sunday. Jesus began by teaching us in chapter 5 about our heart, our integrity, our character and how he wants us to live in relationship with him and how to live out that relationship in our world. In chapter 6, Jesus moved to teaching us about how our heart, our inner life, will be reflected in how we steward what He has given us – our material possessions, our food, clothing, our stuff. Jesus now begins in chapter 7, the concluding chapter of the Sermon on the Mount, and now begins to make the application of our inner life and how we care for what God has given us to how we live in relationship with one another. Our passage this morning comes from Matthew 7:1-6. The last 3 weeks, we have been hearing Jesus teach on what do we do with our stuff and why we should not worry and have anxiety about our stuff. When we get our focus on the material things of right here, right now, it also draws our attention away from Christ and onto other people, which lead us to draw conclusions or judgements about what they are doing or how they are living. Jesus has described a Christian’s character, influence, righteousness, and ambition and now concentrates on relationships. Kingdom Culture is not individualist but communal. We begin to project our anxieties, our decisions, and our way of thinking onto another person. Jesus is speaking to people that would understand the dichotomies. Religious rulers taught that things were very much black and white which translated into right and wrong. And if you were wrong, you were condemned. 7 “Do not judge others, and you will not be judged. For you will be treated as you treat others. The standard you use in judging is the standard by which you will be judged. 3 “And why worry about a speck in your friend’s eye when you have a log in your own? 4 How can you think of saying to your friend, ‘Let me help you get rid of that speck in your eye,’ when you can’t see past the log in your own eye?5 Hypocrite! First get rid of the log in your own eye; then 3 you will see well enough to deal with the speck in your friend’s eye. 7 “Do not judge others, and you will not be judged. 2 For you will be treated as you treat others. The standard you use in judging is the standard by which you will be judged. “Sometimes judge is used to mean “judge between things,” to differentiate, or discern. But this kind of judging-the act of discernment-is not what Jesus is forbidding. In fact. throughout the Bible we are commanded to discern. In the same chapter of Luke 6 and in the very same discourse as the famous “judge not” statement, Jesus talks about having the discernment to see the difference between good people and evil people (Luke 6:43-45). He compares them to trees. Good trees, he says, produce good fruit and bad trees produce bad fruit. The call to differentiate good from evil is to judge, to discern, correctly. In this case, we judge between right and wrong, good and evil, righteous and unrighteous. Judging or condemning others was one of the worst faults of the religious rulers of Jesus’ day. The trouble with judging others is that we set ourselves above those we judge. When we stand in judgement of someone, we are standing in condemnation – we are proclaiming a sentence of death upon them. Unfortunately, the problem of judging did not cease with the hearing of this message of Jesus because today, this is what the perception is of many Christians. We get what we give. If we give judgement we will receive judgement. 1 You, therefore, have no excuse, you who pass judgment on someone else, for at whatever point you judge another, you are condemning yourself, because you who pass judgment do the same things. 2 Now we know that God’s judgment against those who do such things is based on truth. 3 So when you, a mere human being, pass judgment on them and yet do the same things, do you think you will escape God’s judgment? It doesn’t feel good to hear someone say things about us that are not true or at best are inaccurate. So when we do that, when we judge someone, it does not feel good to them either and it paints the message of Christ in a negative light. “He’s calling us to not condemn people, to not pass final judgment and declare them irretrievably guilty. This is an incredibly important idea if you understand the context in which Jesus was speaking. The entire culture of his day was predicated on the notion that some people were acceptable and others were not. And the way you defined yourself, your identity and place in the world, was by comparing and contrasting yourself with others. eye?5 Hypocrite! First get rid of the log in your own eye; then you will see well enough to deal with the speck in your friend’s eye. Our trust in God for His provision for us is not just for us personally. We must trust God for His work and provision in everyone else’s lives. We must pull the log out of our own eye so that we can see clearly. When we see clearly, we see people through the eyes of grace, mercy, and love – not condemnation. Lack of love always distorts the vision. We cannot help the other person until we get rid of our critical attitudes. Jesus has exposed our hypocrisy in our relationship with God when he refers to us being concerned about what those around us think instead of God. Now he reveals our hypocrisy in our relationship with others because we fail to deal with our own issues and faults and focus on others. We have a fatal tendency to exaggerate the faults of others and minimize the gravity of our own. We live in a society where there is no discernment but only judgement. No time is given to discern facts but people succumb to the pressure and cast judgement. The command to not judge is a plea to be generous, not a requirement to be blind. 31 Do to others as you would have them do to you. 32 “If you love those who love you, what credit is that to you? Even sinners love those who love them. 33 And if you do good to those who are good to you, what credit is that to you? Even sinners do that. 34 And if you lend to those from whom you expect repayment, what credit is that to you? Even sinners lend to sinners, expecting to be repaid in full. 35 But love your enemies, do good to them, and lend to them without expecting to get anything back. Then your reward will be great, and you will be children of the Most High, because he is kind to the ungrateful and wicked. 36 Be merciful, just as your Father is merciful. We are all on a journey. We all have struggles and areas of our life that God is working on. It is not our job to expect someone be at the same place we are and not judge their relationship with the Lord. 4 Who are you to judge someone else’s servant? To their own master, servants stand or fall. And they will stand, for the Lord is able to make them stand. 5 One person considers one day more sacred than another; another considers every day alike. Each of them should be fully convinced in their own mind. 6 Whoever regards one day as special does so to the Lord. Whoever eats meat does so to the Lord, for they give thanks to God; and whoever abstains does so to the Lord and gives thanks to God. 7 For none of us lives for ourselves alone, and none of us dies for ourselves alone. 8 If we live, we live for the Lord; and if we die, we die for the Lord. So, whether we live or die, we belong to the Lord. 9 For this very reason, Christ died and returned to life so that he might be the Lord of both the dead and the living. 10 You, then, why do you judge your brother or sister ? Or why do you treat them with contempt? For we will all stand before God’s judgment seat. 11 It is written: “ ‘As surely as I live,’ says the Lord, ‘every knee will bow before me; every tongue will acknowledge God.’ ” 12 So then, each of us will give an account of ourselves to God. 13 Therefore let us stop passing judgment on one another. Instead, make up your mind not to put any stumbling block or obstacle in the way of a brother or sister. We can speak truth in love and then love people and allow the Holy Spirit to work in their hearts and lead them towards deeper intimacy with Christ. It is not our responsibility to “save” people. It is Christ who saves! We are the messengers of His Good News. 1 but Jesus went to the Mount of Olives. 2 At dawn he appeared again in the temple courts, where all the people gathered around him, and he sat down to teach them. 3 The teachers of the law and the Pharisees brought in a woman caught in adultery. They made her stand before the group 4 and said to Jesus, “Teacher, this woman was caught in the act of adultery. 5 In the Law Moses commanded us to stone such women. Now what do you say?” 6 They were using this question as a trap, in order to have a basis for accusing him. But Jesus bent down and started to write on the ground with his finger. 7 When they kept on questioning him, he straightened up and said to them, “Let any one of you who is without sin be the first to throw a stone at her.” 8 Again he stooped down and wrote on the ground. Every day we are walking out into our world with traps set for us. How are we going to respond? Will we get sucked into the deafening roar of the news cycles filled with pundits and biases, clamoring for us to cast condemnation on those which whom we might disagree? What happens when we are confronted with a person and that they have done things that we disagree with? Do we walk around our world believing that we are somehow up “here” or do we quietly stoop down and draw on the ground and speak grace and mercy into the chaos? When someone encounters you, would they say you are a judgmental person? Are there individuals, ethnicities, gender identifying, cultures that you are standing in a position of judgement over? What contributes to you casting judgement on someone? How can we be aware of those things which contribute to judging someone and seek to avoid them?